A highly adaptable mouse alternative. N-ABLER's joystick requires only a light touch. Together with the five sub-flush, color-coded function buttons, it makes for easy navigation and manipulation of objects on the screen. 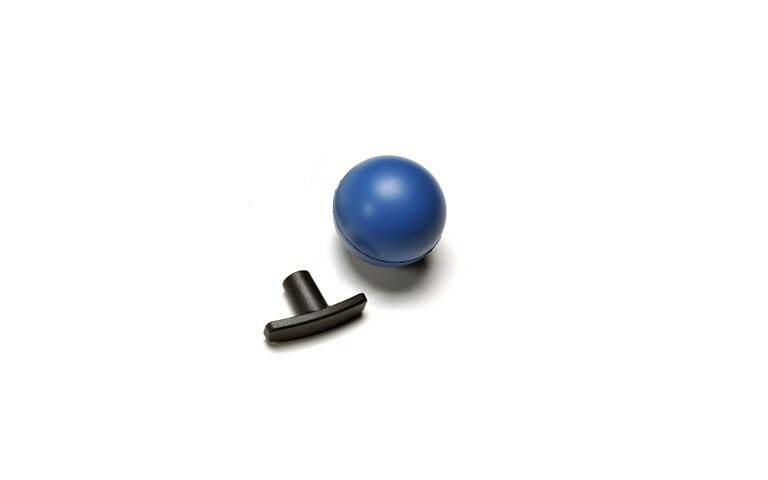 N-ABLER allows fingertip control with only minimal hand movement, reducing elbow and wrist fatigue. The symmetrical design along with the reversible button functionality allows for left or right-handed use. Ruggedly constructed, the n-ABLER also has a large footprint for stability. 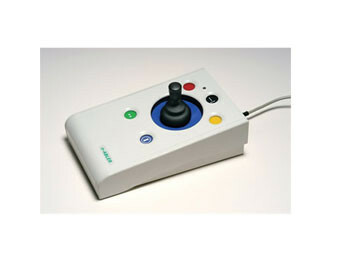 N-ABLER has switchable left and right click buttons; double-click and latching drag lock buttons; X-Y axis lock and scroll button; adjustable cursor speed and easy 'plug and play' installation. Color LEDs and a buzzer, which can be switched off, provide confirmation of all button operations. Mac or PC compatible. USB/PS2. 24-Month Manufactuer Warranty, from date of purchase.